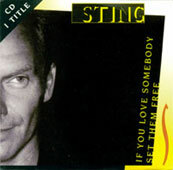 "If you love somebody set them free", originaly on 1985 album "The dream of the blue turtles", was issued as commercial single from the best of in Germany only, as a stange and rare "CD 1 title". 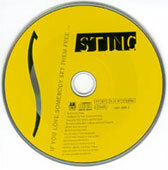 A lot of remixes of the tracks were dones and included on "When we dance" and "This cowboy song" singles. 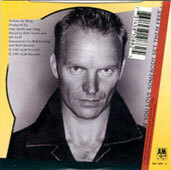 Also, these "If you love somebody set them free" remixes werre issued as promotional 12" for DJ use.